Deux tablas de percussion achetés à Hyderabad. Ils sont complets ( lanières, bouchons, peau. ). Egyptian Aluminium Argent Drum-Tabla-Doumbeck Africain 8.5 " Tête 17 " H.
Type Tabla. 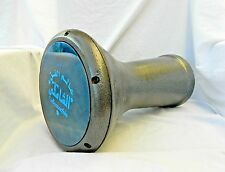 Drum Type Middle Eastern. Grande cas égyptien aluminium Alexandrie tambour/Doumbak avec noir et tête de rechange. Couleur: Argent. 1 aluminium grand tambour dans la. Region Middle East. MPN Does Not Apply. 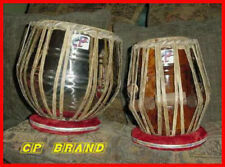 INDIAN TABLA. INDIAN TABLA SET. This high-quality TABLA DRUM SET Is Also Manufactured by us. MASTER OF PLAYING TABLA DRUM. Gross weight of this Tabla Drum set is 18 lbs. INDIAN TABLA SET NEW. This is an excellent quality Tabla Set. 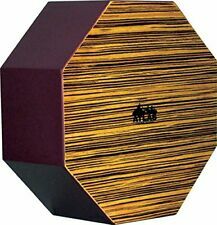 We also carry a Large Selection of Wood& Ceramic Drums (Tabla). All Different Size & Different Prices. 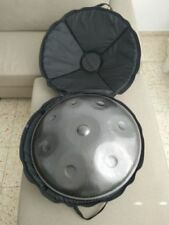 Large Egyptian Aluminum Alexandria Drum/Doumbak With Black case and Spare Head. 1 Large Aluminum Drum in the. Mängel: Ein Gedi (Polster) fehlt. Optisch sehr gut. OVP deutliche Gebrauchsspuren. Reißverschluss defekt. Uhren & Schmuck. Zubehör komplett: nein. Fenster schließen. Farbe: silber. Type Tabla. Drum Type Middle Eastern. Couleur : cuivre. Grande cas égyptien aluminium Alexandrie tambour/Doumbak avec noir et tête de rechange. 1 aluminium grand tambour dans la. UPC Does not apply. MPN Does Not Apply. Egyptian Mother of Pearl Wooden Drum-Tabla-Doumbeck 8.5" Head and 17" High Sale! We also carry a Large Selection of Wood& Ceramic Drums (Tabla). All Different Size & Different Prices. Large Egyptian Wooden Inlaid Mother of Pearl Drum/Doumbak. 1 Large Wooden Drum in the. It is not just a gift. INVENTORY #34896. Otherwise the hardware and skins are in very good condition. WORKING CONDITION: Excellent - Both tablas are in fine playing shape, terrific condition! Fantastic sound! Overall working condition is excellent. Type Tabla. Moyen égyptien en bois incrusté tambour/Doumbak. 1 support en bois de tambour dans le. vous serez enchanté par c’est une qualité supérieure et beaux détails quand en la voyant. Type Tabla. Grande Egypte en bois incrusté de nacre tambour/Doumbak. 1 grand tambour en bois dans le. Country/Region of Manufacture Egypt. vous serez enchanté par c’est une qualité supérieure et beaux détails quand en la voyant. Type Tabla. 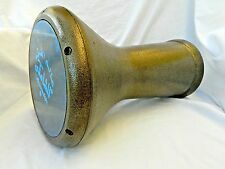 Model Drum. Product Type Drum. Couleur: Vert. UPC Does not apply. MPN Does Not Apply. Le Juil-06 / 08 à 11:57:07 PDT, le vendeur a ajouté les informations suivantes Le 17-Oct-07 14:09:18 PDT, le vendeur a ajouté les informations suivantes . Good quality Tabla Set manufactured in Varanasi, suitable for student who want a good sounding tabla. Il bayan di 2Kg è in acciaio e nonostante non sia molto pesante, ha una buona profondità. - Bayan in stainless steel. Type Tabla. Couleurs disponibles : noir, marron, Orange et vert (Color May Vary). Mini Egypte céramique tambour/Doumbak. UPC Does not apply. Region Middle East. MPN Does Not Apply. Origin Indian, Middle Eastern. Type Tabla. Petit Egyptien en bois incrusté tambour/Doumbak/Tabla pour enfants. 1 petit tambour en bois dans le. vous serez enchanté par c’est une qualité supérieure et beaux détails quand en la voyant. Type Tabla. Couleurs disponibles : Orange, vert, noir, brun (couleur variable). Product Type Ceramic. Country/Region of Manufacture Egypt. UPC Does not apply. Region Middle East. MPN Does Not Apply. Origin Indian, Middle Eastern. Egyptian Mother of Pearl Wooden Drum-Tabla-Doumbeck 8.5" Head and 17" High WOW!! We also carry a Large Selection of Wood & Ceramic Drums (Tabla). All Different Size & Different Prices. All The Inlaid Work Is Done In Our Factories in Cairo, Egypt. It is not just a gift. It is a real piece of art work from the land of the Pharaohs. Beautifully Made With Goat Skin head. Ceramic Drum are Uniquely Hand Made. It is not just a gift. It is a real piece of art work from the land of the Pharaohs. Don't miss the chance to acquire this gorgeous, distinctive and elegant imported Item at an exceptional value! We also carry a Large Selection of Wood & Ceramic Drums (Tabla). All Different Size & Different Prices. Small Egyptian Wooden Inlaid Drum/Doumbak/Tabla for Children. All The Inlaid Work Is Done In Our Factories in Cairo, Egypt. 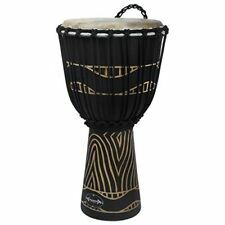 2 Mini Egyptian Ceramic Drum-Tabla- Doumback Goat Skin Black Green Brown 5.25"
We also carry a Selection of Wood, Aluminum & Ceramic Drums (Tabla). All Different Size & Different Prices. Mini Egyptian Ceramic Drum/Doumbak. 2 Small Ceramic Drum in the. Available Colors: Black, Brown, Orange and Green (Color May Vary). 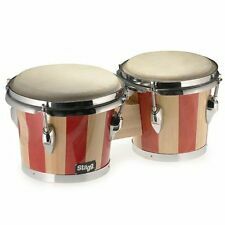 We also carry a Large Selection of Wood, Aluminum & Ceramic Drums (Tabla). All Different Size & Different Prices. 1 Small Ceramic Drum in the. Available Colors: Orange, Green, Black, Brown (Color Varies). BIGGER DRUM: BLACK FINISH, BRASS BAYAN 3KG, BASS. NOW INCLUDES A MAHARAJA PADDED TABLA GIG BAG AS SHOWN IN THE PHOTOS. BEWARE OF FAKES - BUY GENUINE MAHARAJA PRODUCT ONLY FROM MaharajaMusicalsOfficial-buyRaagini.